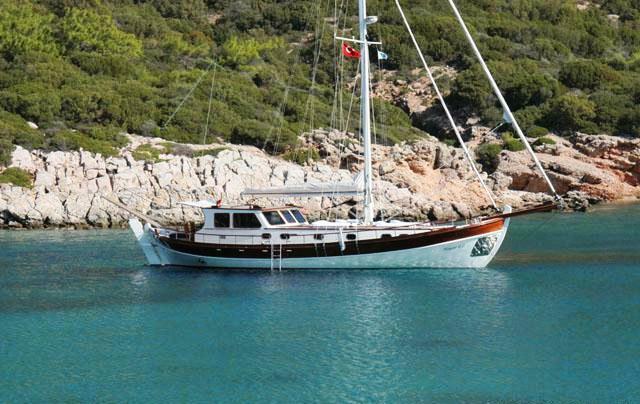 Sailing gulet HAYAL was custom built in 2008 by Bodrum shipyard, the yacht measures 19m (62ft) and can accommodate up to 6 charter guests (4 adults and 2 children) in 3 cabins. 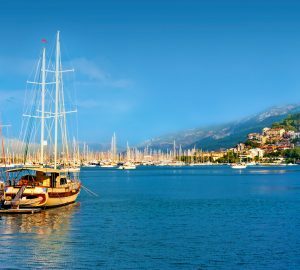 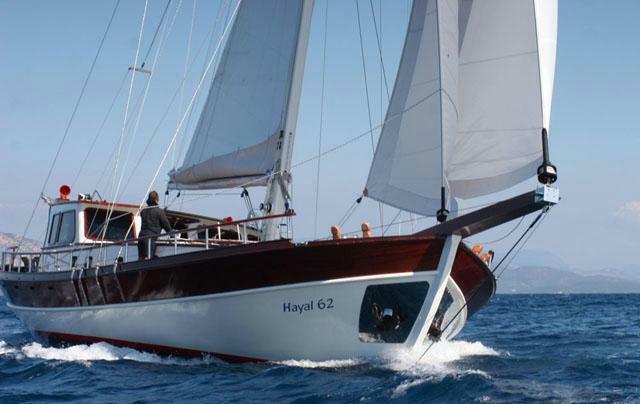 S/Y HAYAL is available in Turkey and the East Mediterranean and is the ideal choice for honeymooners and small families who enjoy yacht charter vacations. 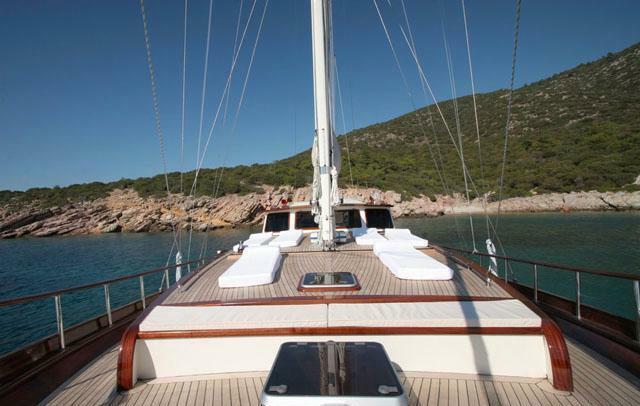 Charter yacht HAYAL boasts a spacious, light and traditional interior of fine woods and contemporary furnishings. 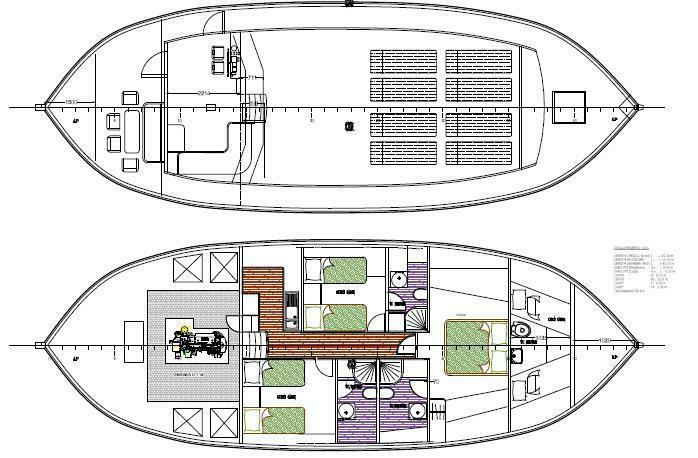 The salon and dining are an open plan in the raised deck house, thanks to large surrounding windows; the space receives ample natural light while enjoying spectacular vistas. 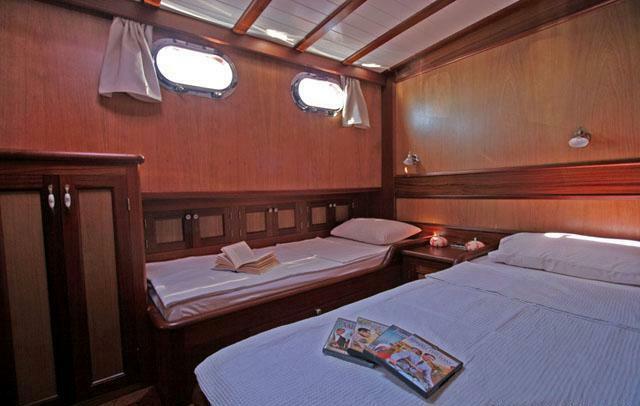 Charter guest accommodation is below decks and forward of the salon. 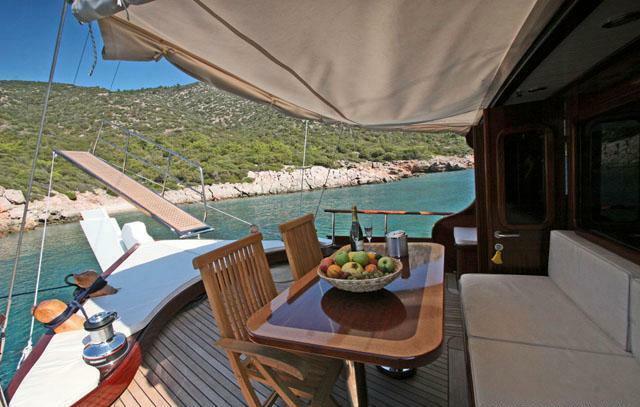 Sailing yacht HAYAL has a generous aft deck with additional seating, alfresco dining table and optional Bimini cover. 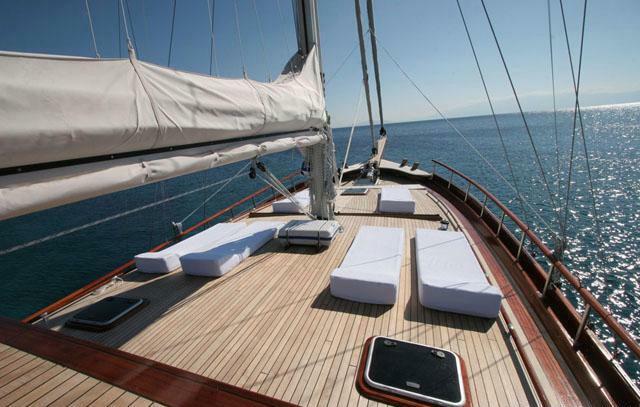 With a beam of 4.9m (16.3ft), the teak decks are easy to walk around. 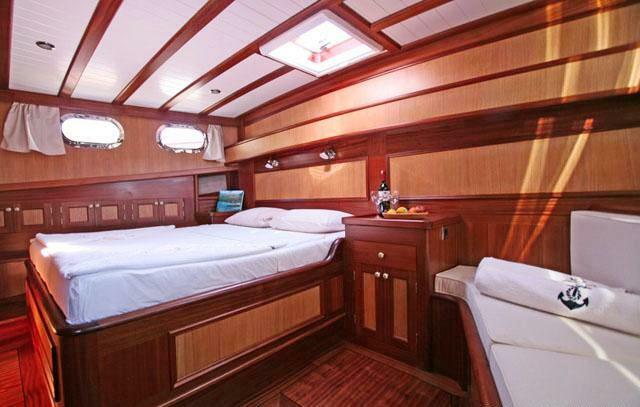 Forward of the raised deck house, is a second lower deck house with 6 plush sunpads, the perfect place to sun, relax and take in the idyllic scenery. 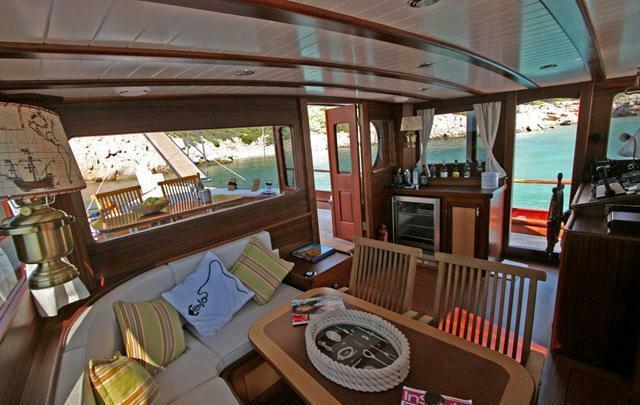 Further forward, a custom seating area is ideal for a morning coffee or an evening aperitif. 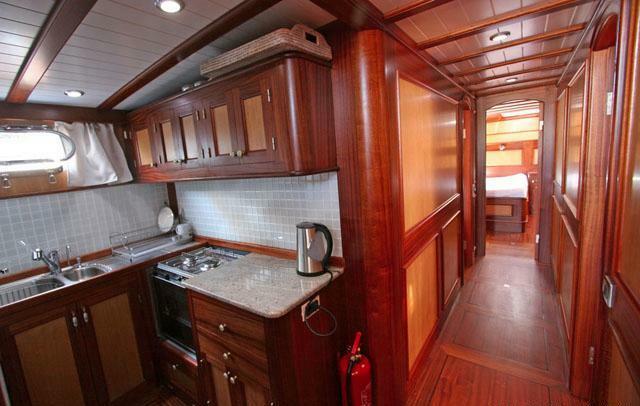 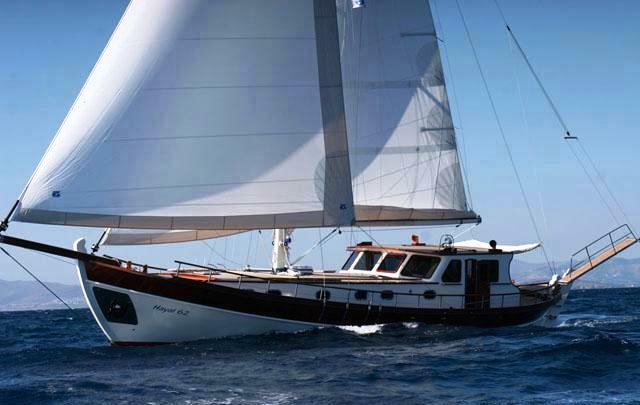 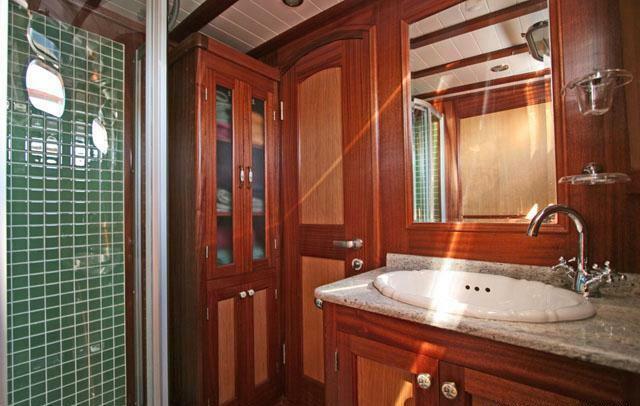 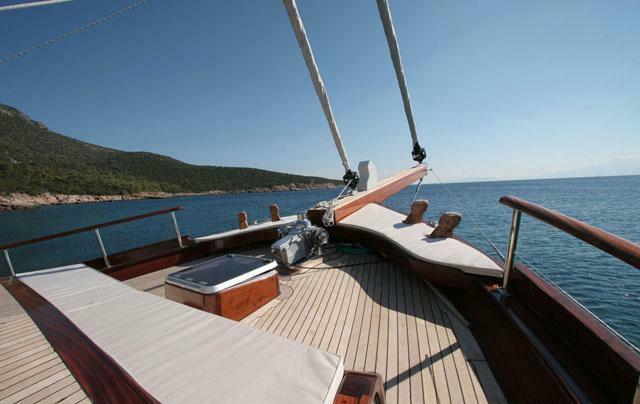 S/Y HAYAL offers accommodation in 1 double cabin and 2 twin cabins. 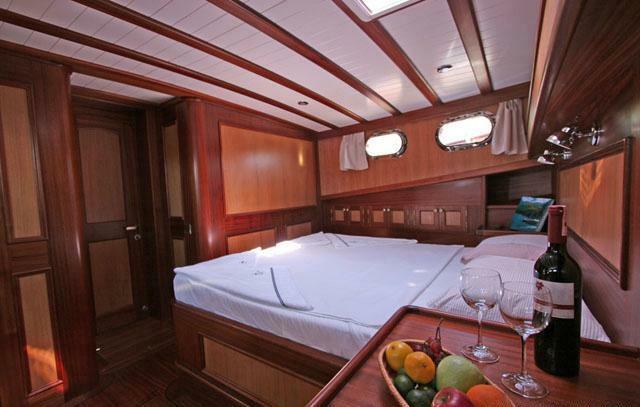 The spacious master stateroom is forward and full beam of the yacht with a center lined double bed, sofa and en-suite facilities. 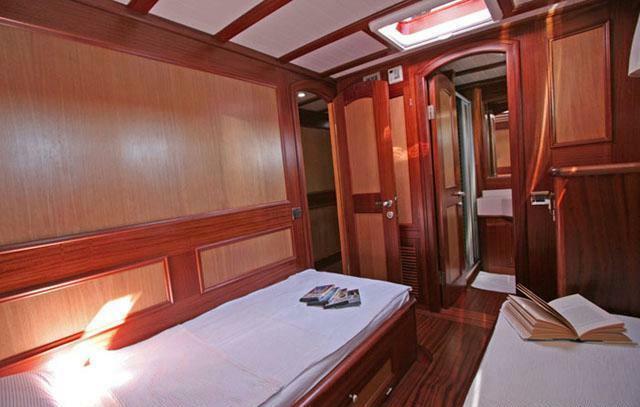 Two further guest cabins offer single side by side beds and shared facilities. 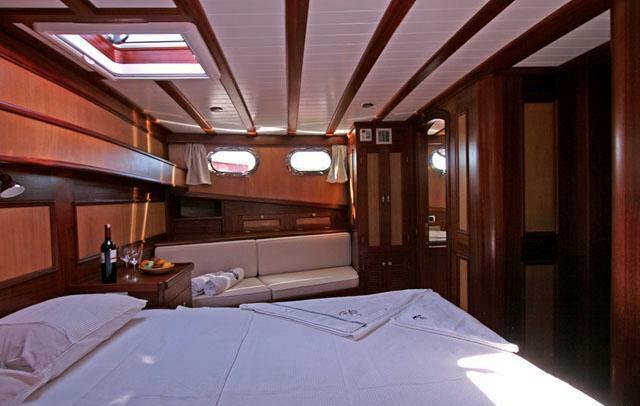 The yachts layout is perfect for small families with young children, honeymooners and romantic getaways.